We are pleased to recognize Stephanie Christensen, PE of EMCS Inc. with the 2018 Chairman’s Award. 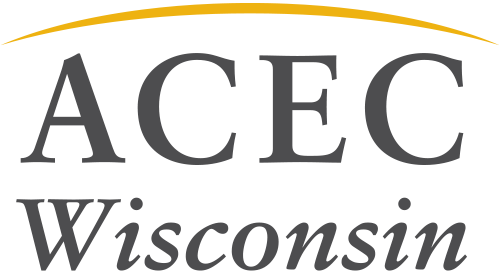 The award’s purpose is to recognize an individual’s personal service made to or on behalf of ACEC WI. 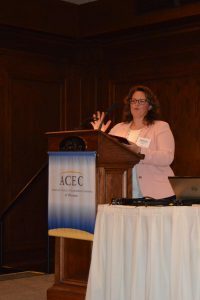 Stephanie is the “gold standard” of ACEC WI volunteers. She serves as the chair of the Transportation Steering Committee and serves on the Transportation Leadership Committee and the Government Affairs Committee. In these roles, she coordinates with WisDOT and creates partnerships between the industry and state agencies. She consistently contributes to both state and national political giving efforts and is involved in our grassroots advocacy efforts. 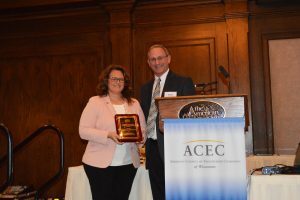 Stephanie’s immeasurable service and contribution to the industry have benefited the engineering industry as a whole in Wisconsin and ACEC WI is proud to give her this year’s Chairman’s Award.